Linda Akehurst, Textile designer and quilter is the next presenter for Friday Showcase at the Quilters' Guild of NSW Inc.
She lives in Colo Vale and is a valued member of Southern Highlands Quilters. Come and listen to Linda's journey from Homemaker Sewer to Quilter, Designer and Teacher. 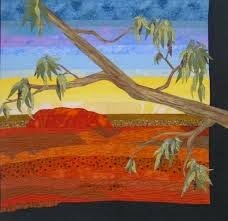 With Spring just around the corner, now is the time to diarise all of the wonderful local Quilt Exhibitions that involve quilters across the state showcasing their creativity. 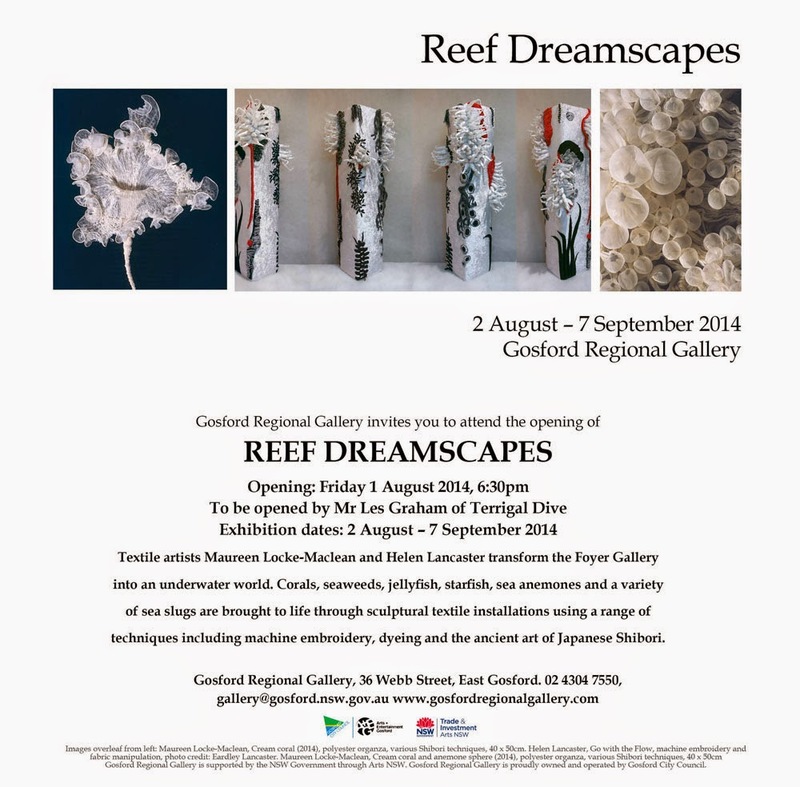 Dates and Opening Hours : 30 & 31 August 2014 : 9.30 - 4.00pm each day. Berry Textiles Art Prize - One Red Thread "Moulin Rouge"
In conjunction with Berry Patchwork & Children's Medical Research Institute, Gerringong Committee.
. . . 'Show's Over. . . .
. . . Mini Mod's been put to bed . . . .
. . . . What's next? The Guild Retreat, of course! 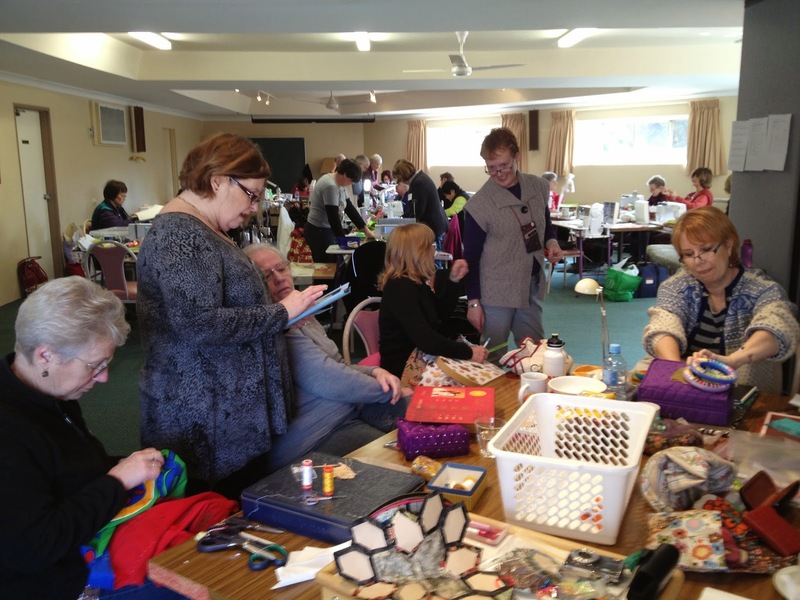 Catherine Porter is another of those Guild Members who quietly go about creating and administering the amazing calendar of events that The Quilters' Guild of NSW Inc offer each year. 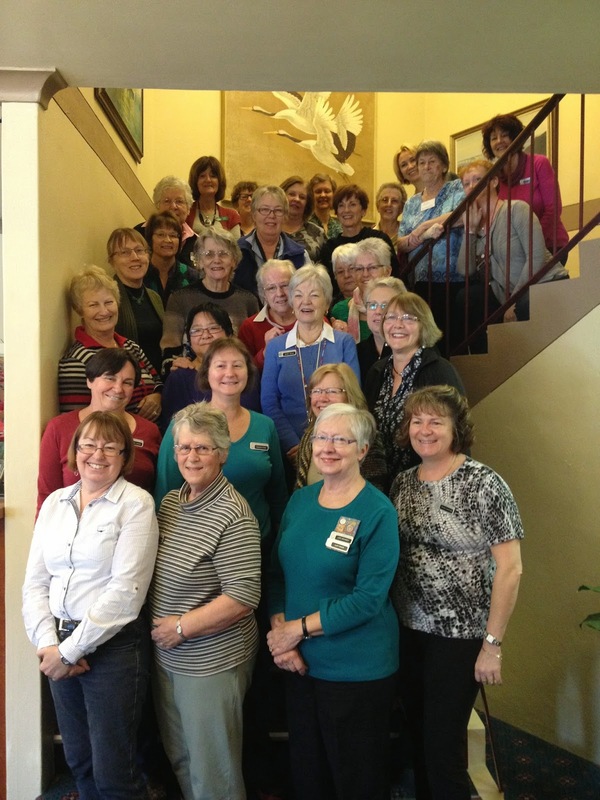 The Guild Retreat is Catherine's "baby" and as Retreat Co-ordinator she is hoping to meet many more members at this years' weekend away in The Hunter Valley. Last year's happy quilters at Blackheath still smiling after two and a half days of grinning, chatting and concentrating! Catherine promises a weekend of comfortable accommodation, shopping, laughing, wining and dining, and....oh yes....quilting! 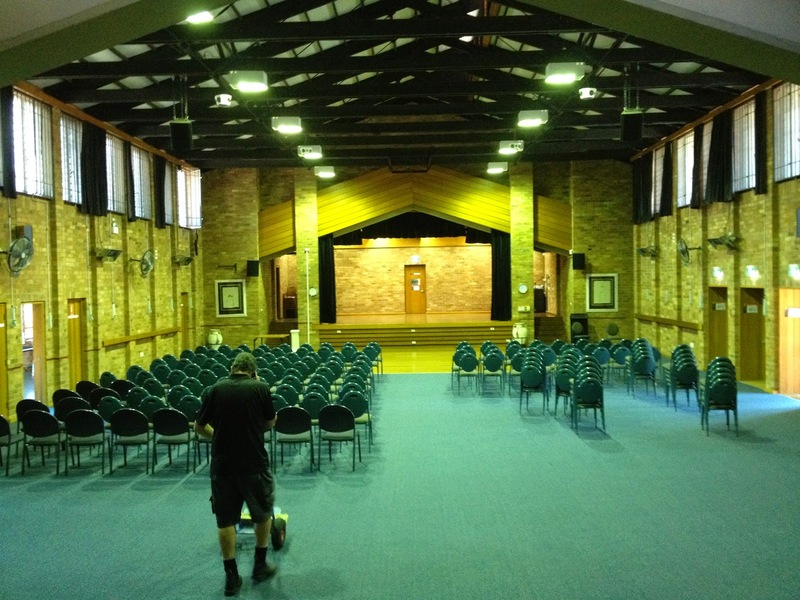 The venue, The Hunter Valley Hotel Academy is only 2 hours from Sydney, has plenty of room for the quilter who brings a mountain of stash who needs space to create, and professes to offer lovely food, wine tasting and ground floor access to all rooms. This will be the room for sewing at Kurri Kurri, sporting plenty of power outlets for the machine enthusiast as well as for those who like to bring extra lighting. Tables will be provided. What to sew? Well, any of your own personal projects. Maybe now is the time to break the back of the 2015 Red and White Challenge. All members are welcome: beginners, experienced and experts, and when Catherine uses the words "friendly" and "productive" when describing previous retreats, it is obvious that attendees are in for a treat - at this year's retreat! Details about the weekend can be found on page 10 of the May issue of The Template. Many a quilt has been produced in far less time than currently available for entry into this years' Suitcase Challenge. In three and a half weeks the 40cm x 40cm Mini Modern quilts being collected in the Guild Office will 'disappear' for judging. For those who are wont to leave it "down to the wire" there is still time to peruse these books in the Guild Library for inspiration. Entry Forms are available for downloading on the website . Completed quilts to be sent to Guild Office. Please ensure to post early. All quilts will be displayed at The Annual General Meeting of The Quilters' Guild of NSW Inc on the 18 October at Burwood and Viewers' Choice will be selected at this meeting. Old Maid's Puzzle blocks, as seen in the guild office this week. This 10 inch block, so easily rotary cut, is the Block of the Quarter and any delivered to the office of The Quilters' Guild of NSW Inc by this Tuesday 12 August, or brought to the guild meeting at Burwood on Saturday 16 August, will go into "the winner takes all" draw at the meeting. Fabric colours need to be one light yellow and a variety of pinks. The block diagram, cutting and piecing directions are in the May 2014 edition of The Template. Guild member Erica Spinks is the volunteer who is responsible for creating the design and publication of this regular activity. Erika is one of many "behind the scenes" volunteers who offer their expertise and commitment to the varied facets of administering our large organisation. Belinda Betts, will be the Guest Speaker at the Market Day August 2014 General Meeting of The Quilters' Guild of NSW Inc.
Belinda was The June Friday Showcase Presenter who "wowed" everyone with her beautifully quilted tops, both hers and client's. Her Long Arm Machine Quilting Business Eucalypt Ridge Quilting is patronised by quilters across Australia. She offers an Award Winning 'Custom and Edge to Edge Service' and the Guild is very fortunate that Belinda, who lives in Orange, has agreed to come and share her stories to a larger group of Guild Members. There may still be time to "host" a Stall at this Market Day Meeting, so please phone the Guild Office to ascertain availability. Don't forget your completed yellow and pink "Block of the Quarter" Old Maid's Puzzle - 10 inch blocks, to leave at the Welcome Desk. 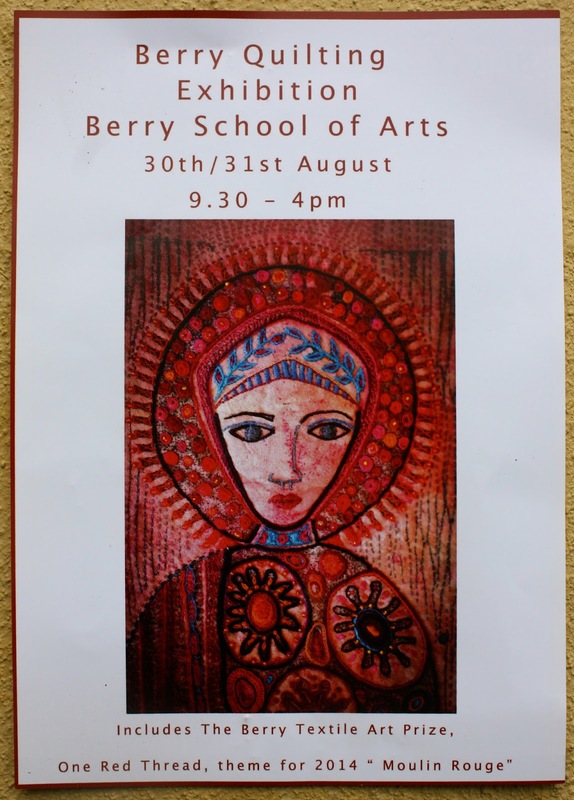 There is an official opening at 6pm on Friday, 8 August 2014 with local artist and Guild member Sandy Corry in attendance. All welcome! 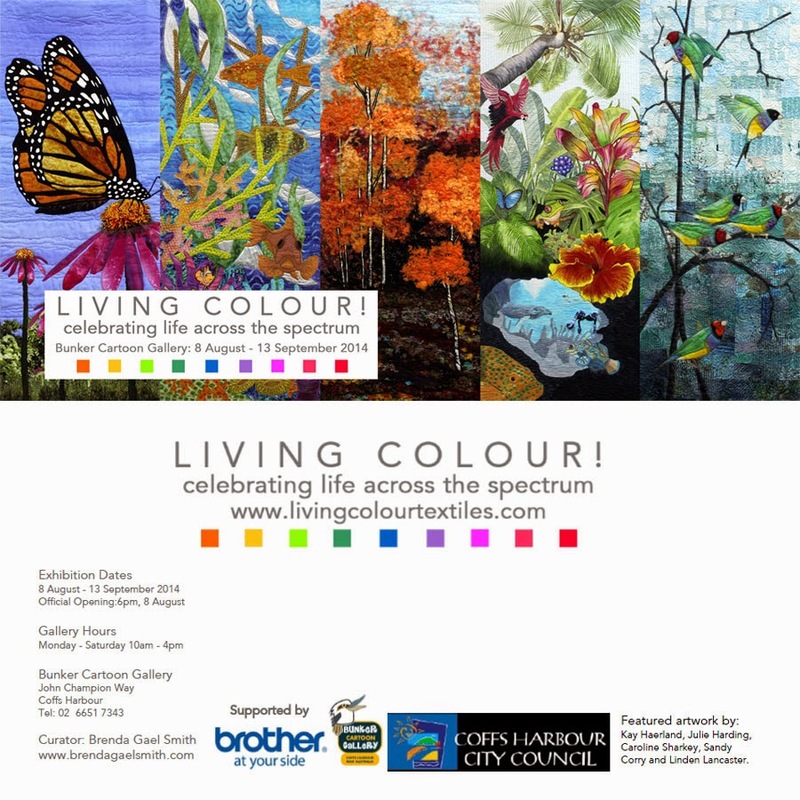 Please share this invitation with friends and textile enthusiasts on the Far North Coast. Due to an overwhelming number of requests to extend the deadline for entry to the AMQA Inc. Quilt show the new entry deadline is the 14th August 2014 for online entry. Please ensure all entries are submitted by midnight on the 14th August 2014. If you are posting your entry please post it a few days earlier to allow for delivery. If we have not received it by the 14th we will not be able to accept your entry due to printing schedules. We acknowledge those entries who adhered to the original date for entry and thank you for your promptness. If you had considered entering but did not complete the entry, you have a new deadline. 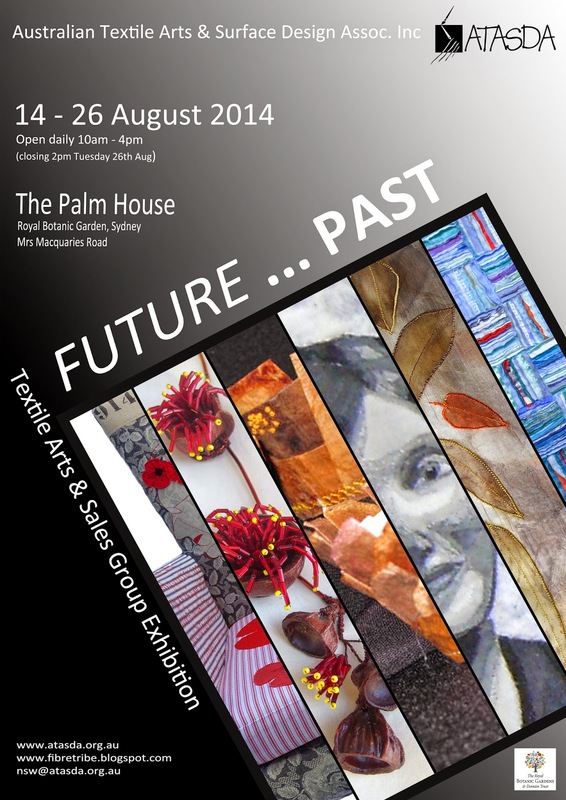 Enter by the 14th August 2014 to be a part of the AMQA Inc. Quilt Show. 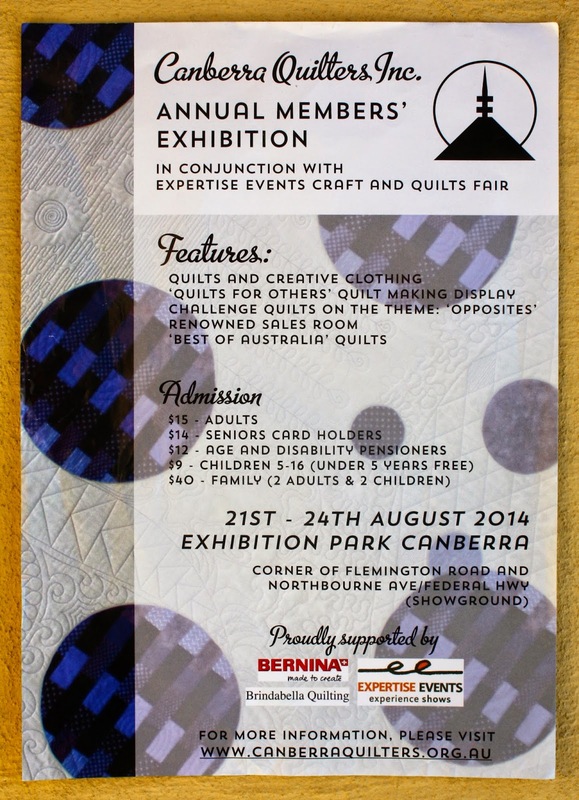 Hunters Hill Quilters Exhibit every Second Year and the count down is on for their 16th Biennial Show. 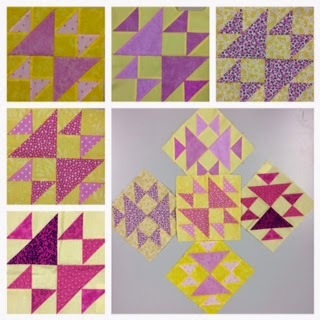 Details on the quilt show and images of the two Raffle quilts that have been made by members can be found on their website Quilt Show page.